I got my first Game Boy in August 1998. It was a Game Boy Pocket – apparently, Nintendo was giving all of its Tetris-playing Link’s Awakening-loving gamers the green light to start carrying their Game Boys everywhere. That was feasible, as long as the gamer also wanted to pack some batteries, game cases, and maybe a Game Boy Printer, too. The Game Boy ecosystem was huge, occupied by peripherals and palm-sized cartridges; it did not lend itself to mobility as well as even pre-iPod CD players and disc-carrying books, and in retrospect very little about it foreshadows what the breathless press now calls mobility, i.e., carrying a consolidated networked device. The “Pocket” moniker was no declaration of revolutionary mobility – it simply showed that the gargantuan first-gen Game Boy had been succeed by something smaller but no less capable. Nintendo is not a company given to consolidation for its own sake, or even for the sake of forcing new technologies on its users (unlike Apple) – the slim Pocket and its upgraded partner, the Game Boy Color, gave way to the stockier widescreen Game Boy Advance, whose backward compatibility now meant that there was even more to carry around. The DS similarly introduced a easily losable stylus and backward compatibility with the Advance. These devices are not even trying to be smaller or more amenable to “on-the-go” players with limited attentions spans, or even to IT execs who think mobility will solve world poverty. The 3DS, released in 2011, is often compared to the smartphones and tablets. The narrative goes: do-everything touchscreen devices have obviated the need for dedicated devices, and the 3DS (and presumptively, the PS Vita) are doomed. This line of reasoning betrays ignorance of the dedicated handheld market, a unique space that only Nintendo has ever really dominated. To see how the (3)DS is different from a smartphone or tablet, it’s necessary to look at one of its quintessential offerings, the Zero Escape series of adventure games/visual novels. Zero from the Zero Escape series. Desktop adventure gaming declined long ago, but it has gotten new life in the last decade thanks to studios like Quantic Dream and from third-party DS developers. Games like Last Window have demonstrated the DS’s unique abilities to create an immersive, almost book-like experience – that game in particular required that you hold the DS upright, featured lots of text to read, and one of its most stunning puzzles could only be solved by closing the DS’s clamshell. However, Cing (the studio that made Last Window and its prequel, Hotel Dusk) closed its doors several years ago. In contrast, Aksys Games, the makers of Zero Escape, scored one of the original DS’s most unlikely hits with Zero Escape: Nine Hours, Nine Persons, Nine Doors, and had similar success with the beautiful 3DS/Vita sequel, Zero Escape: Virtue’s Last Reward. Buoyed by strong sales, a third game is apparently in the works. 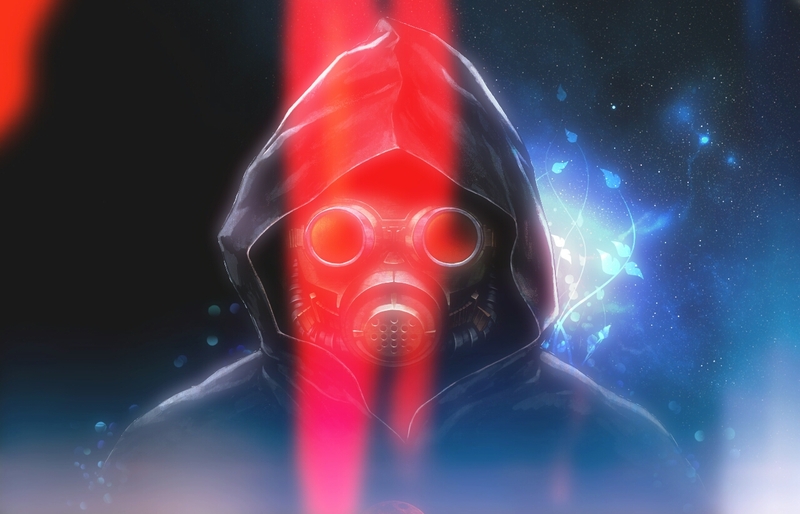 Zero Escape is like little else in mainstream gaming, either on desktop or mobile. Most of your time will be spent reading; every now and then, you might solve an escape-the-room puzzle. Despite having little action and being on a traditionally family-friendly platform, it is also incredibly violent and nihilist. Without spoken dialogue (at least in much of the first game), it’s like a creepy, interactive silent movie. Or, as I alluded to earlier, a book – and here we may see exactly where the (3)DS resides in the device landscape. The Zero Escape games, like the best ones on the platform, are games most easily played at home, where players do not have a set amount of time to kill, like reaching a certain subway stop, or finally getting called in by the doctor/receptionist. Those scenarios are perfect for smartphone/tablet games that can be suspended and resumed at any time, but the 3DS usually works better at home or with time to spare. As Mathis points out, the home is an environment in which consumers typically favor dedicated devices, rather than the convenience of consolidation. If they didn’t, then PCs would have long ago cannibalized TVs, music players, game consoles, streaming boxes and much more. Non-consolidation also means that devices like the Kindle Paperwhite, which in theory should be under tremendous pressure from hi-res tablets, remain favorites even of Nintendo pessimists like MG Siegler. With its sophisticated reading capabilities and false front as a “mobile” device, the Paperwhite, rather than Android and iOS hardware, may be the best comparison for the (3)DS. I’ve been skeptical about how long Amazon would continue selling reading-first/reading-mostly devices, but like the DS, they appear to serve a sizable, loyal audience that likes dedicated functionality. It can be easy to overlook that when one’s main perspective is mostly limited to the rapid iteration and refinement of phones and tablets, which follow different lines of logic and occupy a largely separate market at least for now.